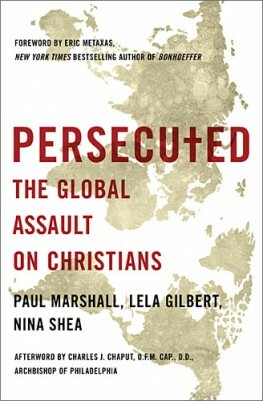 This March, Thomas Nelson will publish Persecuted: The Global Assault on Christians (2013) by Paul Marshall (Senior Fellow, Hudson Institute’s Center for Religious Freedom), Lela Gilbert (Adjunct Fellow, Hudson Institute) and Nina Shea (Director, Hudson Institute’s Center for Religious Freedom). The publisher’s description follows. Christians are the world’s most widely persecuted religious group, according to studies by the Pew Research Center, Newsweek, and the Economist, among others. Persecuted soundly refutes these assumptions. This book offers a glimpse at the modern-day life of Christians worldwide, recounting the ongoing attacks that rarely make international headlines. As Western Christians pray for the future of Christ’s church, it is vital that they understand a large part of the world’s Christian believers live in danger. Persecuted gives documented accounts of the persecution of Christians in Africa, Asia, the Middle East, and former Soviet nations. It contains vivid stories of men and women who suffer abuse because of their faith in Jesus Christ, and tells of their perseverance and courage. Persecuted is far more than a thorough and moving study of this global pattern of violence—it is a cry for freedom and a call to action.